Gentlemen...start your engines! Keep your foot on the gas and your eyes on the road. Hit the nitro burst for ultimate speed and acceleration. The next stop is the checkered flag. Earn your way to the top of the racing circuit by successfully navigating the racecourse. There are two ways to play this game: a single race or a championship. Begin gameplay by selecting a racetrack. They range in variation from a desolate road to the curves and bends of an old mining town track. Win a race and you will be able to power-up and unlock other courses. The same goes for your racecar. From a hot-rod Phoenix to a sleek Mongoose, if you win your racing heat you will be granted a stock car upgrade. Combining realistic 3-D graphics and an adrenaline pumping score, this free online game is an addictive assault on the senses. Download this free full version game today and join the race. 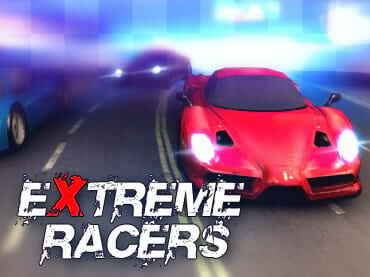 If you have questions about Extreme Racers game, please contact us using this form.